FICON (Fibre Channel Connection) is an upper-level protocol supported by mainframe servers and attached enterprise-class storage controllers that utilize Fibre Channel as the underlying transport. 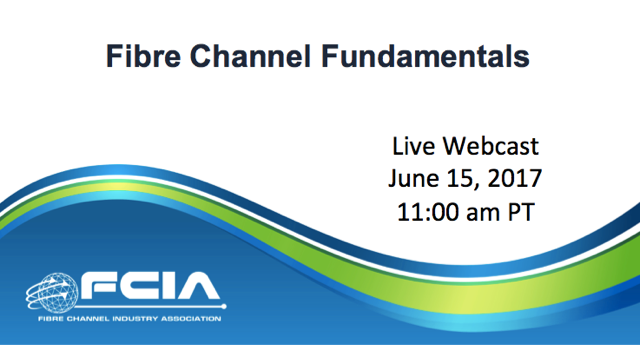 The FCIA FICON 101 webcast described some of the key characteristics of the mainframe and how FICON satisfies the demands placed on mainframes for reliable and efficient access to data. FCIA experts gave a brief introduction into the layers of architecture (system/device and link) that the FICON protocol bridges. The growth and centralization of mission critical datacenter SAN environments has exposed the fact that many small yet seemingly insignificant problems have the potential of becoming large scale and impactful events, unless properly contained or controlled. Root cause analysis requirements now encompass all layers of the fabric architecture, and new storage protocols that usurp the traditional network stack (i.e. FCoE, iWARP, NVMe over Fabrics, etc.) for purposes of expedited data delivery place additional analytical demands on the datacenter manager. To be sure, all tools have limitations in their effectiveness and areas of coverage, so a well-constructed “collage” of best practices and effective and efficient analysis tools must be developed. To that end, recognizing and reducing the effect of those limitations is essential. FICON (Fibre Channel Connection) is an upper-level protocol supported by mainframe servers and attached enterprise-class storage controllers that utilize Fibre Channel as the underlying transport. Mainframes are built to provide a robust and resilient IT infrastructure, and FICON is a key element of their ability to meet the increasing demands placed on reliable and efficient access to data. What are some of the key objectives and benefits of the FICON protocol? And what are the characteristics that make FICON relevant in today’s datacenters for mission-critical workloads? 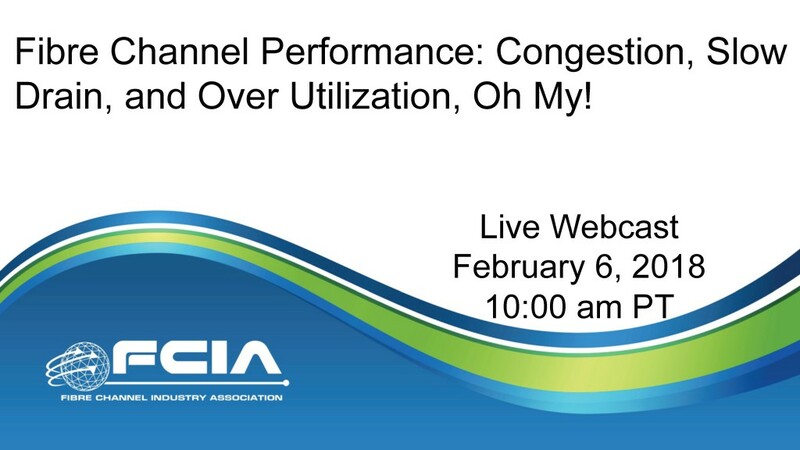 Fibre Channel Performance: Congestion, Slow Drain, and Over-Utilization, Oh My! 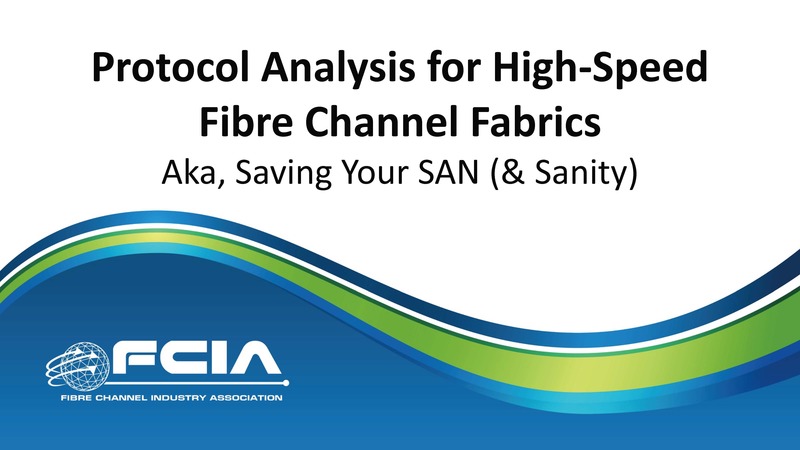 Today’s Fibre Channel SANs are tasked with reliably delivering huge amounts of data with almost zero latency in an environment with a large variance of end device capabilities. Fibre Channel is a lossless network protocol, but what are the ramifications? What is considered a good SAN design and what are best practices? What situations can lead to suboptimal performance? How can a device that is not performing well affect the performance of devices even on different parts of the SAN? Can a device that is returning credits without delay affect the SAN just like a device that is returning credits slowly? 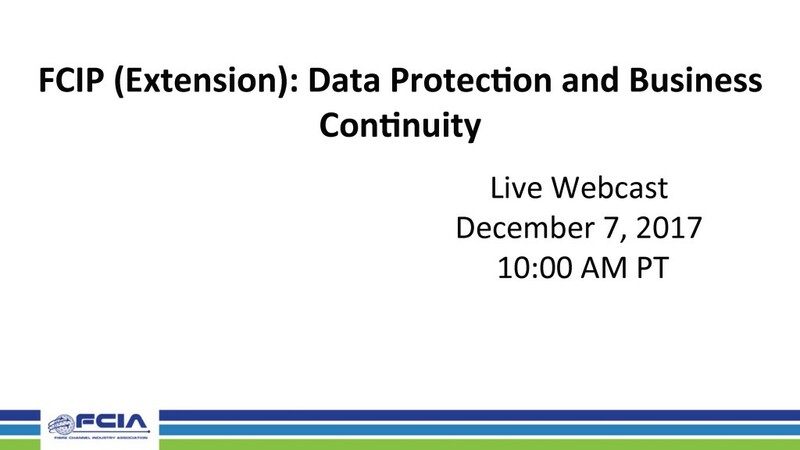 This webcast provides the answers to these questions and more. 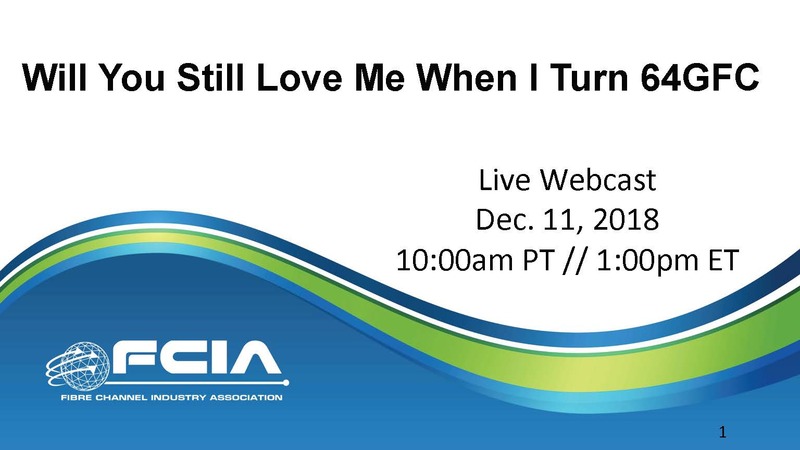 For answers, join the FCIA on February 6th for our live webcast. Disaster may strike anywhere and occurs in many shapes and sizes. Transporting data over significant distance beyond the reach of a threatening event preserves data so organizations can rapidly recover in the event of a site going down. This makes deploying a disaster recovery infrastructure between data centers with fast, continuous, and easy replication of mission-critical data to anywhere in the world essential. 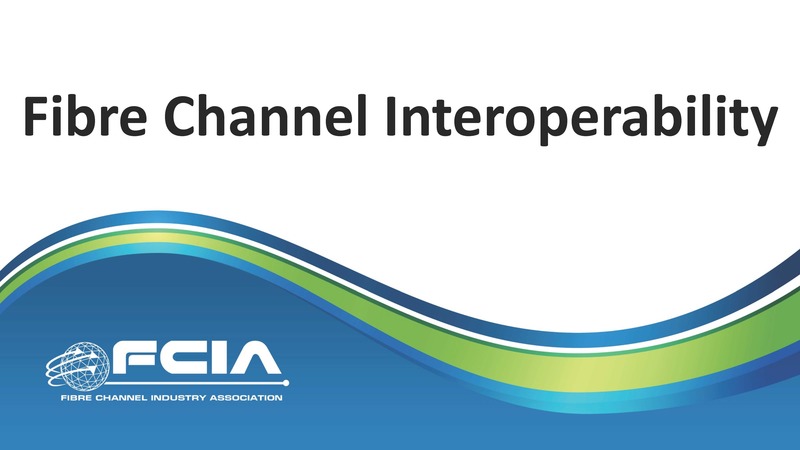 Fibre Channel over IP (FCIP), often referred to as “Extension,” is used to connect SANs across distance using IP networks. FCIP is commonly used for Remote Data Replication (RDR) between Enterprise Storage Arrays and Remote Tape applications, for the purpose of Business Continuance via Disaster Recovery (BC/DR). This webcast covers best known methods for deployment with extension architectures, extension in routed topologies, and performance optimization for remote replication. As people learn more about Fibre Channel and are curious about NVMe over Fibre Channel (FC-NVMe), questions arise around how storage solutions are going to be affected by the new technology. Perhaps the least understood aspect of storage networks involves distance solutions. 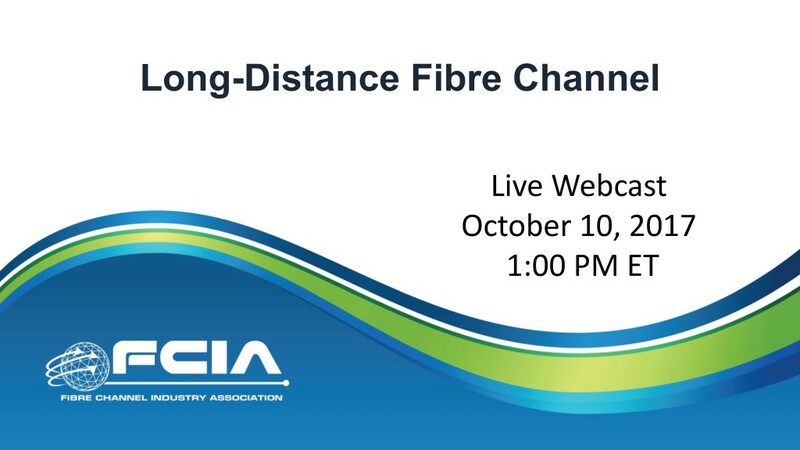 In this webcast, FCIA experts highlight Fibre Channel long distance use cases and answer the most common questions to help viewers better understand and plan for distance solutions using Fibre Channel. 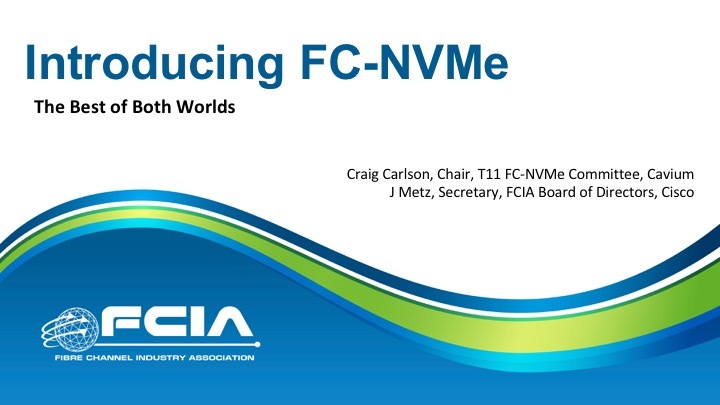 As FC-NVMe (NVMe over Fibre Channel) is preparing for it’s official launch, there have been numerous questions about how the technology works, how it gets implemented, and what makes it special when compared to traditional, SCSI-based Fibre Channel. 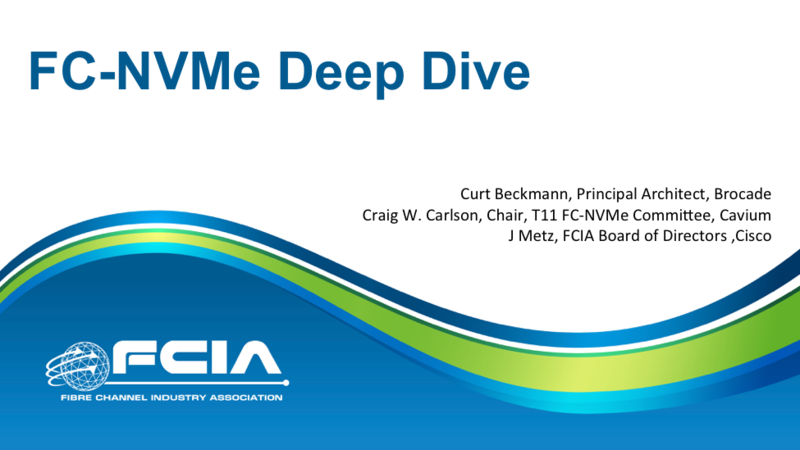 This webcast is an advanced, deep dive of the bits and bytes of FC-NVMe. Fibre Channel (FC) is the storage networking protocol for enterprise data centers with over 11 million ports deployed. 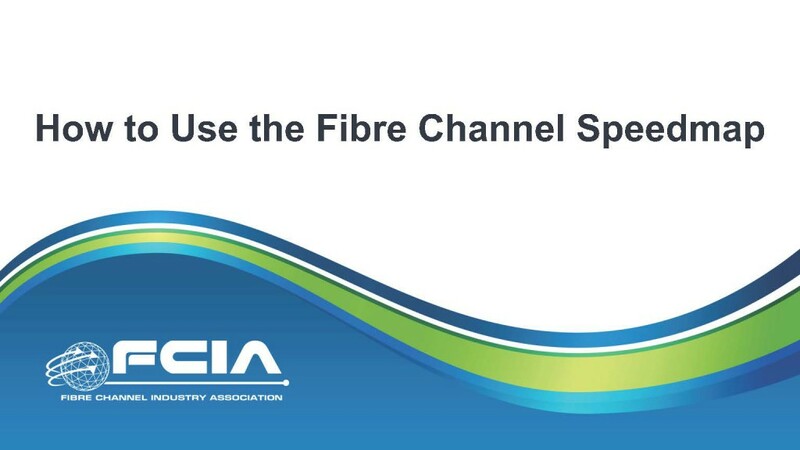 Fibre Channel is purpose-built–and engineered to meet the demands for enterprise data centers that require rock solid reliability, high performance and scalability. It can even transport new storage protocols like NVMe natively. 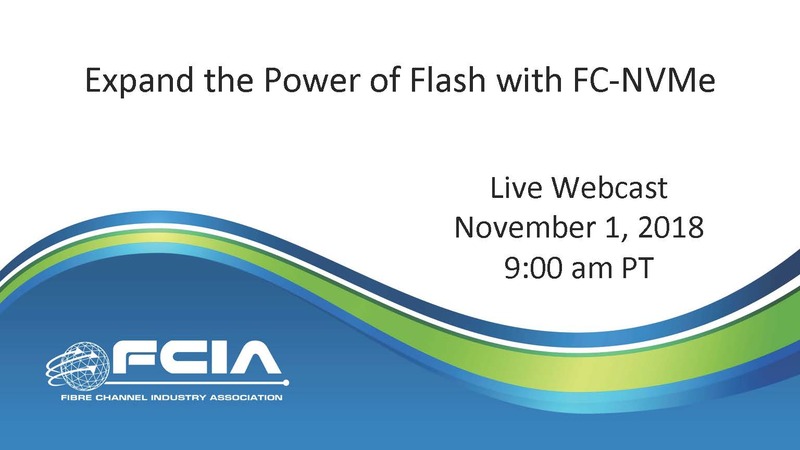 This webcast explains how FC provides unparalleled performance for storage systems. 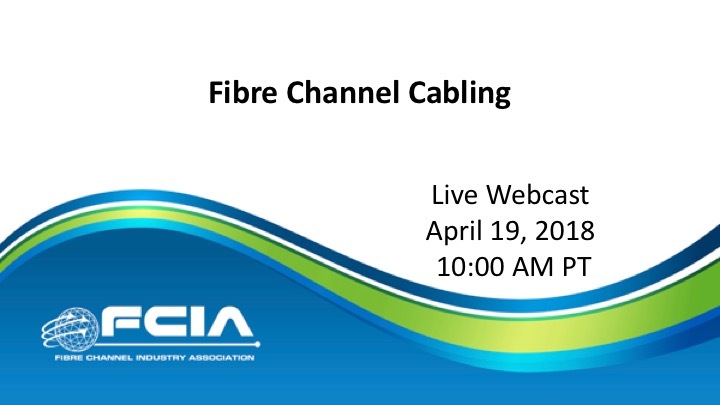 Fibre Channel is the most well known dedicated storage networking protocol in use in data centers today, and is considered the gold standard for storage in terms of availability, reliability, and scalability. However, it does require some specific design and planning requirements. For that, storage administrators use the Fibre Channel Speedmap. 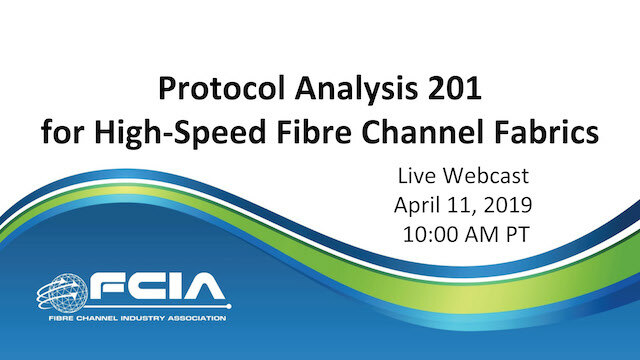 Watch this on-demand webcast to learn how to use the Fibre Channel Speedmap, what the numbers mean, and why its useful. NVMe is one of the most interesting new developments to happen to storage in the past several years, and NVMe over Fabrics extends these capabilities over a Storage Area Network. Given that 80% of all existing Flash storage solutions deployed are interconnected with Fibre Channel, many questions have arisen about what it is, how it works, and why someone might want to consider using Fibre Channel for NVMe-based solutions. Watch this on-demand webcast to learn more about this exciting new technology from the people who are developing it.